The process by which emerging adults make meaning of their lives is complex. Dr. Carolyn Barry maps the landscape of this multifaceted field of emerging adults’ religiousness and spirituality. After providing an overview to differentiate the concepts within the psychology of religion and spirituality field, she summarizes national trends in religious affiliation, as well as religious and spiritual beliefs and practices. Further, she discusses the unique developmental factors that undergird why meaning-making is such a central task for emerging adults. Thereafter, she notes key theoretical perspectives on religious and spiritual development, and reviews research on the benefits and detriments of religiousness and spirituality. Building upon her training as a developmental psychologist, she then addresses key socializing context to support meaning-making from the family to peers, media, universities, and religious communities. Also, she explains variations in religious and spiritual development as a function of gender, sexual identity, culture, and religious affiliation (v. none). Lastly, she articulates the implications of what is known about emerging adults' meaning-making for emerging adults, their parents, as well as other adults (faculty, practitioners) who work with emerging adults. Dr. Carolyn Barry , earned her B.S. in Psychology with minors in Sociology, Spanish, and Secondary Education from Ursinus College, where she earned departmental honors in Psychology and was inducted into Phi Beta Kappa. Carolyn earned her Ph.D. in Human Development from the University of Maryland, College Park in 2001. Since that time she has been on the psychology faculty at Loyola University Maryland, receiving a promotion to the rank of full professor in 2014. 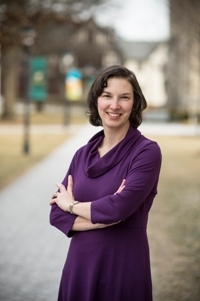 She teaches developmental psychology courses to undergraduate, masters and doctoral students, and in March 2011 was recognized for her use of service-learning in such courses with the Award for Excellence in Engaged Scholarship and Service-Learning at Loyola University Maryland. Several pathways to adulthood can be defined in different countries, according to their diverse institutions, cultures and economies. This variability has endowed the family of origin with more influence during emerging adulthood in which, in past decades, it tended to play only a minor role. The family has always supported its offspring, but the necessity of supporting their younger members in the long transition to adulthood is a new phenomenon, which is now being seen with increasing frequency in all advanced industrialized countries. Nowadays the importance of the quality of family relationships for a successful transition to adulthood is commonly seen in different cultural contexts. Moreover, recent years have seen the phenomenon of adult children still living with their parents spread across Europe and the US. Research on family relationships during emerging adulthood will be discussed to highlight how parents and children renegotiate their relationships to find a new relationship’s balance taking into account cross cultural differences. Furthermore, specific attention will be dedicated to the research that have translated the relational complexities of the family to empirical research projects without oversimplifying and losing the relational specificity of the family to give some examples on how to manage the complexities of the families. Margherita Lanz, Ph.D. received her Ph.D in Social and Developmental Psychology from the Università Cattolica del S. Cuore of Milan where she is currently an associate professor of Psychometric. She teaches Research Methods in Psychology and Research Methods for close relationships. She is member of the Scientific Committee of the doctoral school of Psychology at the Università Cattolica of Milan and is coordinator of the research area Family life cycle: adolescents and young adults at the Catholic University Center for Family Studies and Research. Her research is devoted principally to identifying the role of close relationship during emerging adulthood, taking into account the different generations involved in the transition. Moreover, she is focused on research methods using multiple informants. She has been editor of special issues on transition to adulthood in Europe and in Mediterranean area. This presentation will address the theoretical underpinnings of narrative identity, particularly as it is relevant to emerging adulthood, as well as contemporary issues and debates in the field. More specifically, attention will be paid to theoretical and methodological reasons for taking a narrative approach to studying identity development, such as the ubiquity of storytelling, and the capacity for narrative approaches to attend to both the processes and content of identity. The robust research on the relation between narrative identity and well-being will be discussed, including the importance of autobiographical reasoning and the emotional interpretation of past events. Attention will also be paid to the limitations of current research on narrative identity development in terms of considering the role of culture and society. A recent movement towards examining the intersection of personal experience and societal structure via an examination of personal, alternative, and master narratives will be addressed, with ample time for discussion of these topics. 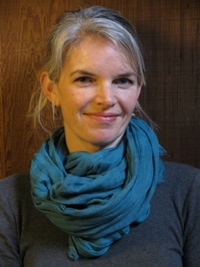 Dr. Kate McLean is an Associate Professor of Psychology at Western Washington University in Bellingham, WA. She was trained in Developmental and Personality Psychology at the University of California, Santa Cruz (Ph.D., 2004). Her research focuses on adolescent and emerging adult identity development. She is on the executive committee of the Association for Research in Personality, and Division 7 of American Psychological Association, (Developmental Psychology). She is an Associate Editor for the Journal of Research in Personality, the Journal of Adolescent Research, and Memory. She teaches courses in Developmental and Personality Psychology, as well as research methods. Manczak, E., McLean, K. C., McAdams, D. P., & Chen, E. (2015). Physiological reactivity during parent-adolescent discussions: Associations with scaffolding behaviors and relationship quality. Annals of Behavioral Medicine. This talk will provide an overview of research and theory on the topic of early adult crisis, also known as quarterlife crisis. Firstly, I will introduce two types of quarterlife crisis: the ‘locked-in’ and ‘locked-out’ types. I will describe the typical experiences and defining emotions of these two forms of crisis. They will be conceptually related to the theory of emerging adulthood, and to Erikson’s theory of early adulthood, to locate them in relation to broad stages. I will discuss data on the prevalence of quarterlife crisis as gleaned from large-scale surveys that have gained data from individuals of varying ages on the presence of past and present crisis. Data on the nature and extend of post-crisis growth will be presented, which show quarterlife crisis to be a double-edged sword; an opportunity for developmental progress and regress. Finally I will look at crisis and curiosity: My data suggests that during crisis, people are more curious about themselves, other people and the world, suggesting that during the unstable and transitional period of a crisis, individuals are in an existential ‘search’ mode, looking for new answers to old questions about how to best live life. 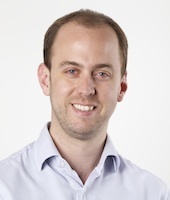 Dr. Robinson has been at the University of Greenwich since 2006 and is Programme Leader for the BSc Hons Psychology with Counseling degree. His specialist area is adult development and has recently published a textbook on the topic. His particular research interests are in how personality and mental health are affected by major life transitions during adulthood. He runs a third year undergraduate option entitled Adult Development and Mental Health, co-ordinates the Introduction to Psychology course for first year undergraduates, as well as contributing to methods teaching at undergraduate and postgraduate level. In 2012 he won the Early Career Researcher Communicator of the Year award for his extensive interaction with media regarding his research. Dr Robinson employs a diverse range of research methodologies, including quantitative, qualitative, case study and mixed-methods approaches. His research has gained interest from the media, including the New Scientist, The Guardian, BBC Radio 4, The Telegraph and the Times. Robinson, O.C. (2014). What counts as positive growth following trauma? The conceptual difficulties of spiritual/religious change. European Journal of Personality, 28, 346-347. Robinson, O.C. (2014). Re-examining the epistemological foundations of quantitative psychology: Pluralism, not positivism. Qualitative Methods in Psychology Bulletin, 17, 5-8.